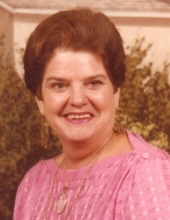 Peggy Ruby Bacon, 85, passed from this life surrounded by her family in Houston, Texas on January 14, 2019. She was born at home, being the youngest of 8 children, to parents Robert and Frankie Hall on February 20, 1933 in Houston, Texas. Peggy loved to spend time outdoors fishing, and gardening in her yard. She also loved to dance and be with her family. Peggy was very close with many of her neighbors and was known as the neighborhood grandmother, especially to Tania, Oscar, Elvis, and Jenny, who she loved like her own grandchildren. She was known to play a mean game of Wii bowling, and was an avid poker player where she won numerous tournaments. Peggy is preceded in death by her parents, as well as her 7 siblings; Kathleen, Opal, Dolly, Jewel, Pete, Dieter, and Roy who as affectionately called “Pookie”. She is lovingly survived by her children; Henry Bacon, Peggy Jo Nesselhauf and Jerri Kilgore, and Jerri’s sister Cathy Pierce; as well as granddaughter, René Nesselhauf-Chan and husband Timothy Chan. The family invites you to join them for a visitation on Saturday, January 19, 2019 at 12:00 P.M. Funeral services will follow at 1:00 P.M. officiated by Reverend Ken Durham in the chapel of Carter-Conley Funeral Home. To send flowers or a remembrance gift to the family of Peggy Ruby Bacon, please visit our Tribute Store. "Email Address" would like to share the life celebration of Peggy Ruby Bacon. Click on the "link" to go to share a favorite memory or leave a condolence message for the family.